A friend of Walk Right In Ministries is giving an amazing gift and YOU HAVE AN OPPORTUNITY TO MAKE IT BIGGER! Author Sandra Orchard has committed a significant portion of her royalties from the book “Critical Condition” to Walk Right In Ministries! Sandra already has three Christian romance novels published by Harlequin’s “Love Inspired Suspense” and more books coming. “CRITICAL CONDITION” released in October and will only remain available at Walmart, Target and Kmart for a very short time . Please hurry and purchase this title for Christmas gifts and more so that many can also be blessed both in reading and through the education, advocacy and networking resources of www.walkrightin.com. Love Inspired Suspense stories feature strong heroes and heroines whose faith is central in solving mysteries and saving lives. You enjoy a dash of danger and a strong dose of inspiration in a short novel package at a very affordable price. 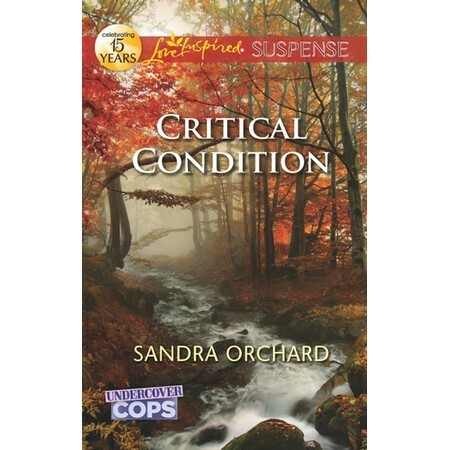 Sandra Orchard’s titles include Shades of Truth, Deep Cover and Critical Condition. To learn more about Sandra’s writing and what she has coming next, visit her website at http://www.sandraorchard.com. I have been personally enjoying Sandra’s books and am so proud to say that we wrote songs together as co-members of Inter Varsity Christian Fellowship Clubs during our high school years in southern Ontario. I want to personally thank Sandra for her creative vision and generous support of Walk Right In Ministries. What a beautiful picture of partnership in the Gospel! BTW — During this Thanksgiving season and as the end of another year approaches, please prayerfully consider giving to Walk Right In Ministries. Your financial contribution OF ANY SIZE helps shine the Good News of Jesus Christ into the lives of hurting people through advocacy, education, discipleship and networking. Your tax-deductible donation equips people to connect and grow in Christ-centered communities while discovering adventure in life’s challenges. THANK YOU for sharing in this ministry in so many wonderful ways. God is faithful to provide and encourage us.